Out of all the restaurants in Derbyshire, there is nowhere else quite like Littleover Lodge! With a beautifully decorated restaurant and a friendly team that cater for all your needs – you will have the ultimate dining experience that’s perfect for any occasion. Set in the beautiful Derbyshire countryside and surrounded by many local attractions. Littleover Lodge offers more than just a place to wine and dine. Experience the chance to discover Derbyshire in all its glory after you’ve fuelled up with our delicious food. Part of the three JC hotels and restaurants in Derbyshire. Littleover Lodge has a wide variety of food menus to dine from. 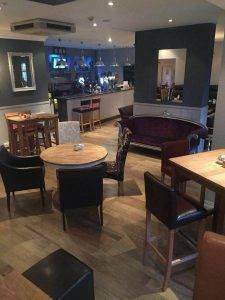 The Lodge bar and dining is the place to go for enjoying national favourites such as stone baked pizza, gastro delights, carvery and special occasion dishes in a relaxing atmosphere. Our newly refurbished hotel is home to talented chefs who know what it takes to serve up tasty food. Filled with quality, flavour, and freshness. Our Gastro menu is perfectly designed to suit everyone’s taste and is just want you to need to recharge if you’re passing through Derbyshire. 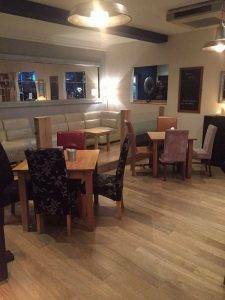 Made fresh to order, this menu includes a range of starters and mains such as lamb rump, duck breast, cod, and much more. So you absolutely can’t go hungry with this menu. If you have young children with you, you can bring them along to our family friendly restaurants in Derbyshire. 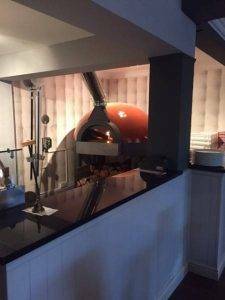 Littleover Lodge is home to truly scrumptious stone baked pizza and a fantastic children’s menu that is guaranteed to satisfy all taste buds. Our pizza menu is one of a kind! and we are known for having some of the most unique pizzas in the area. This includes the classic Margherita, the Lodge Pride, and even a sweet Nutella pizza for dessert! After your meal, why not grab a drink or two at our bar! Home to a fantastic choice of soft and alcoholic drinks, there is something for everyone behind our packed bar. From draughts and bottled beers and ales. To wines and spirits, as well as an extensive list of classic and modern cocktails. Unwind after a long day or as a meeting point for a long overdue catch up with friends and family. The Lodge Bar and Dining is the ideal venue in Derbyshire. In the meantime, browse through all our food menus by clicking here. Or speak to our team for more information or specific dining requirements that you or your party may have. We also have other restaurants in Derbyshire such as The Lion Hotel and The Boars Head Hotel, both of which are equally as great as Littleover Lodge! If you would like to book a table or stay at Littleover Lodge, please do not hesitate to get in touch with us – we even have an incredible selection of drinks including cocktails, wine, beers, and so on!